I’m not a big fan of Guinness, but when I spotted this i my local Asda in Peterlee, I thought that I would give in a try. It pours nice and dark with a amber head, but the head did not last very long. On the palate it is rather pleasing. There are notes of caramel, chocolate, toasted malts and toffee. The finish is nice with a good mouth feels. The Guinness West Indies Porter was a very pleasant surprise because I was expecting a weedy ale. 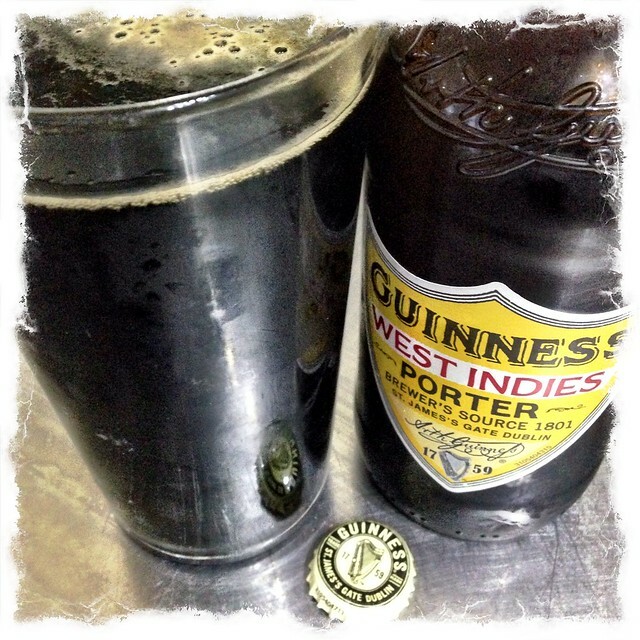 This entry was posted in Beer Adventures and tagged Beer Review, Guinness, West Indies Porter on March 17, 2016 by Richard. Evensong from The Durham Brewery is a very good real ale. It pours very dark brown with a pleasing head. On the nose are aromas of fresh bread and dried fruits. On the palate it is fruity and spicy with a nice back note of toffee. It has a nice long medium bitter finish. 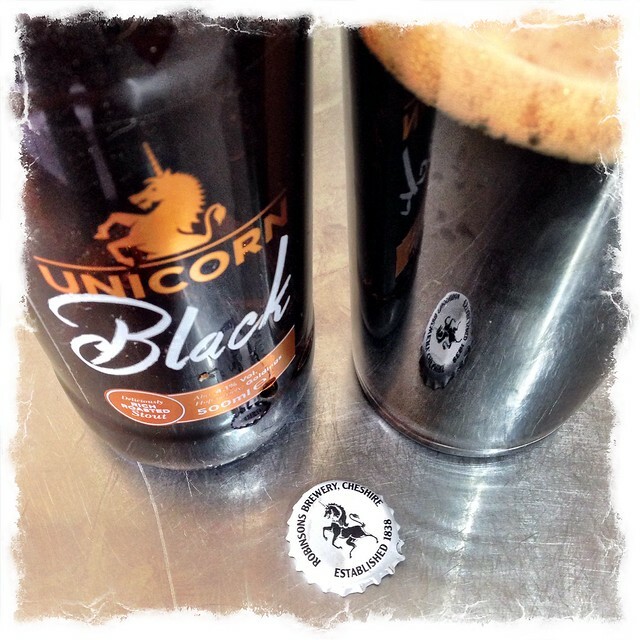 This entry was posted in Beer Adventures and tagged Beer Review, Real Ale, The Durham Brewery on December 30, 2014 by Richard. We picked up the Bede’s Chalice – Belgian Triple from The Durham Brewery a little while ago. Yesterday we decided to enjoy it with lunch. I opened the bottle and there was a big rush of froth. A very lively beer indeed. In poured into the glass with a big foamy head. On the nose there are aroma’s of bread dough with a little peach. On the palate it pacts a big punch with notes of spice, peach and mango. The 9% ABV holds all these flavours on the palate. There is a pleasing semi sweet alcohol finish with strong notes of orange peel that lasts and lasts. A great beer for these cold days. 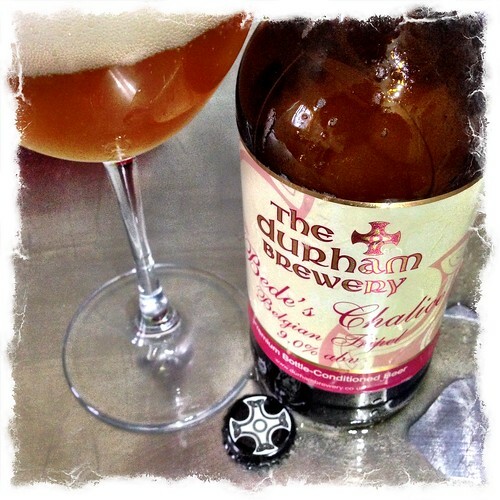 This entry was posted in Beer Adventures and tagged Bede's Chalice, Beer Review, Belgian Triple, The Durham Brewery on November 27, 2014 by Richard. The Shepherd Neame Double Stout is a very decent tipple. On the nose there are notes of coffee, stewed dark fruits and toasted malts. On the palate it comes alive with with high notes of chocolate, caramel, malts and a tad of toffee. Nice mild bitterness in the finish. A very good stout. 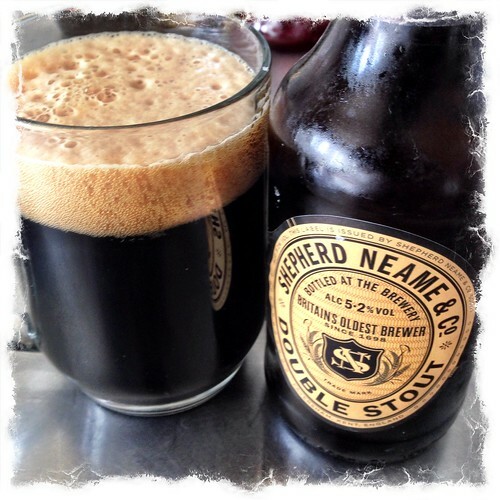 This entry was posted in Beer Adventures and tagged Beer Review, Shepherd Neame on August 9, 2014 by Richard. 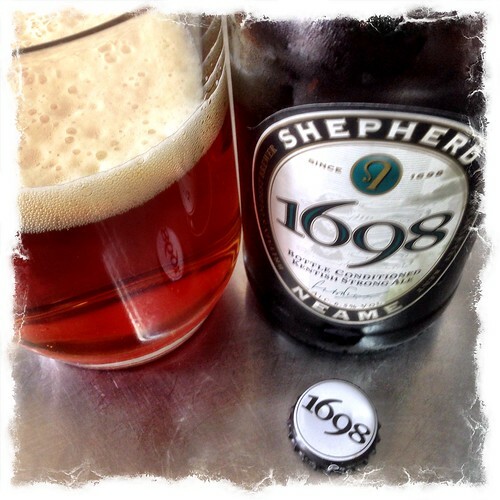 Shepherd Neame 1698 is very enjoyable bottle conditioned ale. It is a spicy, fruity and malty ale with a hoppy finish. Nice mouth feel. The ABV is 6.5% but it does not taste very alcoholic. This entry was posted in Beer Adventures and tagged Beer Review, Real Ale, Shepherd Neame on July 24, 2014 by Richard. Fuller’s London Porter is an outstanding porter. 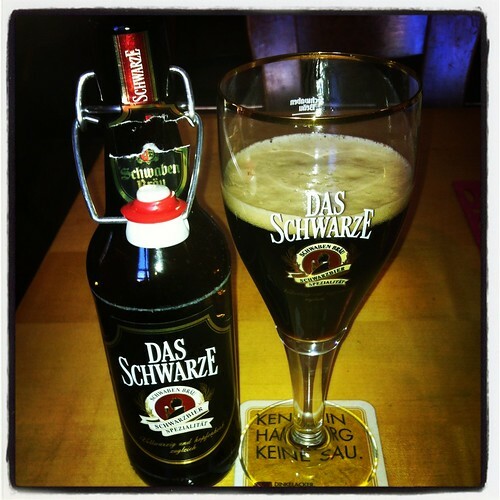 It is rich and full bodied with dark chocolate, coffee, caramel and malty notes. It is a meal in a glass. 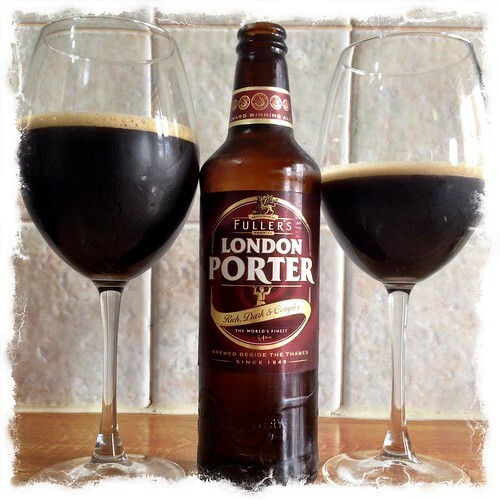 This entry was posted in Beer Adventures and tagged Beer Review, Fuller’s, London Porter on May 7, 2014 by Richard.